The First Sea Lord’s Sea Power Conference 2019 will be held on 15 May 2019 in Whitehall. The conference will present and explore changes to the national maritime strategy and aim to shed light on how this fits into broader UK Defence. The Royal appears confident in its utility and its strategic messaging, 2017 was the Year of the Navy, in 2018 the Royal Navy expanded its Maritime Horizons and this year’s intent is Delivering Global Influence. However, is the Navy’s renewed confidence justified? Following land-centric campaigns in Iraq and Afghanistan, the great recession of 2008 and the Defence Review of 2010, are we now witnessing the re-awakening of a national maritime strategy and naval ambition as part of the Join Force, with Allies and Partners and across Government? Alternatively, is the maritime more of a support act, an enabler for the economy rather than a means to exert influence and power? The conference aims to question wether there is substance to the Royal Navy’s confidence and examine the emerging challenges and opportunities in today’s world. Is the apparent change in national strategy towards the maritime by default or by design? 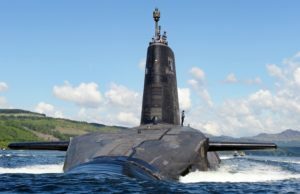 Is a maritime strategy the right strategy for the UK in a highly uncertain and rapidly changing world? Knowing that costs will hinder ambition, can the Royal Navy rise to the challenge to play its part within a broader maritime strategy? And finally, can the RN remain an attractive proposition for talented people through the innovative use of technology? For more information, please visit the RUSI website.